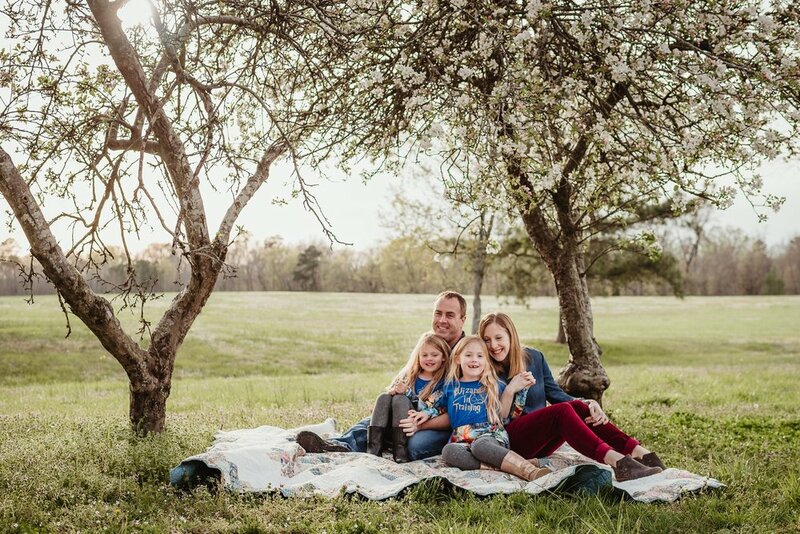 I met up with this lovely family last weekend at Horseshoe Park in Wake Forest, right before sunset. We played, danced, laughed, and had a grand ol' time! Being in a house full of boys, I always love taking pictures of family with girls... they let me into their world, for just a small moment in time, and I loooove it! The long hair flying in the wind, dancing with Daddy, and giving Mommy such sweet kisses... priceless. These girls were super cute, and didn't even mind me calling them by their fake names I made up for them, "Gertrude" and "Krystal"... much. I brought with me one of my favorite quilts by Stitched & Found , which matched the CUTEST Harry Potter shirts the girls had on!! It was such a fun time, as I LOOOOOVE my family sessions!! Want a good laugh and get some moments captured?? Book now!